Welcome to week two of our book club here at the blog! 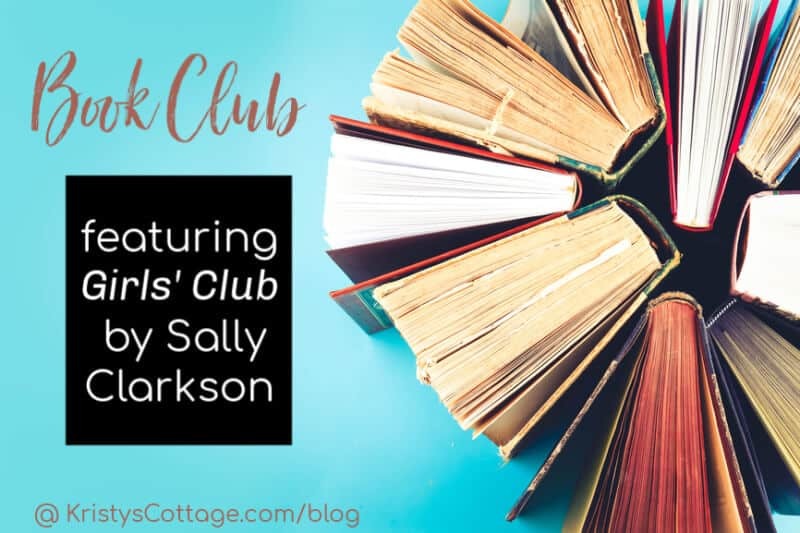 If you are new to the blog or to this book club, we are spending a few weeks this spring exploring Sally Clarksons new book, Girls Club. This week, we are unpacking chapter one, Commitment: the Glue That Preserves the Bond of Friendship. Do you already own a copy of Girls Club and the companion workbook, Girls Club Experience? If not, I encourage you to grab a copy of both from Amazon. Check out our other Girls Club Book Club posts here! Girls Club opens with Sally gently introducing us to her stories and messages of friendship and community. 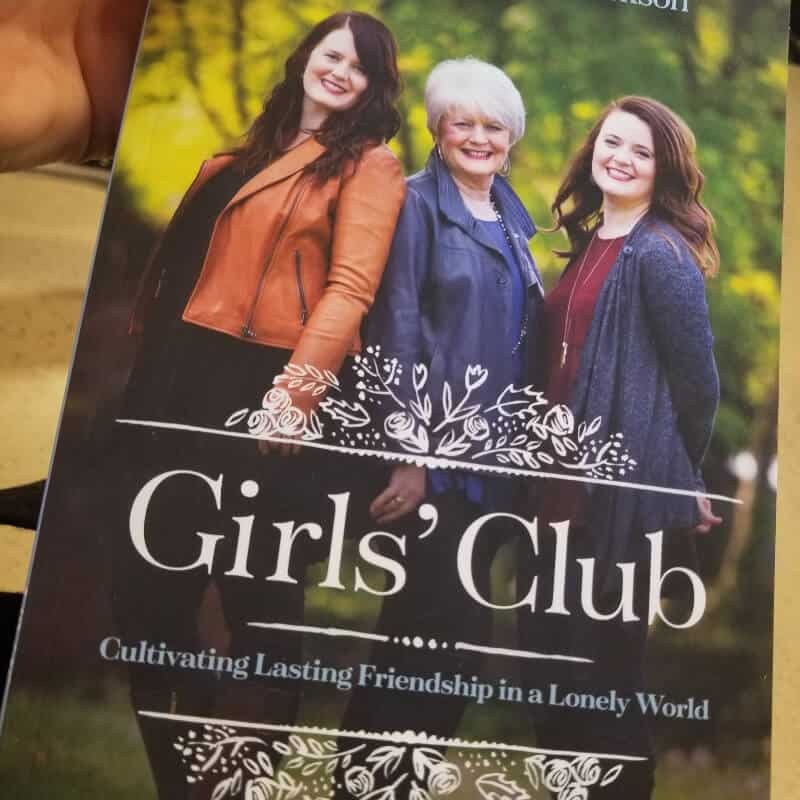 The first few pages engage us in the telling of how Sally met her lifelong friend, Gwen, while they were both single missionaries working in communist Poland. If you are familiar with Sally Clarkson via her books or podcasts, you might already be familiar with her stories about Gwennie. Sally often describes her friendship with Gwen as a Jonathan-and-David kind of friendship: a real-life picture of what it looks like when two people build a camaraderie that transcends seasons-and even differences- in life. Even as a single woman, Gwen always believed in the messages that burnt in my heart, and she would share encouraging words, write notes of Scripture, share books to inspire me, and shower my children with the charming love of an auntie they otherwise would not have had. 1. Friendship is about supporting what God is doing in someone elseâs life. I can tell you the names of the women who invested in my life in this way! I remember their names and faces vividly, because their words of encouragement and support meant the world to me as a young woman who was trying to find her place in the world of ministry. Over the years, I have learned that there are many, many people who will feel threatened by who you are , not care for who you are, or simply misunderstand who you are. Those friends who support our pursuit of Godâs design for our lives become especially precious. This quality is one I desire to cultivate, so that I can speak support and encouragement in my friends lives. In reference to the example of Jonathan and David, Jonathan could have easily been threatened by David: his anointing, courage, and popularity. Instead, he had the maturity to recognize that the plan God charted for David purpose did not distract from his own God-given destiny. Sallys friend, Gwen, is a beautiful example of a friendship that has survived decades of life, seasons of change, and great physical distances. Instead of being jealous of Sally and her roles in life (a wife, mother, and influential speaker/author), she has chosen to cultivate her own callings and to be a faithful supporter of what God is doing in and through Sally. From the pages of Girls Club, we see that Gwen is a beautiful example of a gracious friend. 2. Friendship is a commitment. This is an important nugget from chapter one. In a world where most people feel isolated, alone, unseen, and lonely, we need this view of friendship as something that shows us the fullness of Godâs love more than ever. To cherish and guard friendships can be a safeguard from personal pettiness and a reminder to be selfless. To embrace a friendship in full-fledged commitment provides us with a visible picture and personal experience of what we hope for in God: one who will love us, help us, and respond to us, no matter our failures, our needs, our vulnerabilities, or our prickly moments. In my own life, I realize that it is so easy for me to allow friendships to simply fade when life gets too busy, complicated, or disappointing. People will always disappoint us, annoy us, have needs and even impede on our precious plans and time. The decision to commit to friendship and community is to, as Sally so eloquently states, a safeguard from personal pettiness andâ¦ selfishness. Further in the book, Joy Clarkson addresses the subject of how to navigate relationships with unhealthy people; I feel like this is a valuable passage in this book. However, within the context of healthy friendships, commitment is a huge component of community. Cultivating friendship over the long haul indicates that we will not choose to simply disconnect when people or situations are imperfect, vulnerable, or even difficult. God designed family, friendships, and church to help sustain us personally in following Him and serving Him. We were not created to handle the demands of life aloneâ¦ That is why cultivating, cherishing, and nurturing godly friendships is not just a luxury but a necessity to be able to sustain a healthy spiritual life. Here are a few discussion questions for you to ponder. Please feel free to comment with your insights, thoughts, and personal takeaway in the comments section below. I would love to hear your thoughts on chapter one! Would your closest friends say that you are a supporter of their dreams, callings, and mission in life? I have found that one of the best ways to become a friend who supports others is to become steadfast in our own dreams, callings, and mission in life.When we know who we are in Christ, we are less likely to feel threatened or jealous by who or what someone else is called to be. It isnât always possible to maintain 100% of our friendships, but sometimes distance develops simply because we fail to intentionally stay connected through various seasons of life. —> If you have allowed a dear friendship to fade by omission, how might you reach out or invest? This is a deeply important trait to bring into relationships; jealously and an attitude of competition will eventually strangle friendships. What specific way can you support and encourage a friend this week? Make a plan of action to reach out and be a Jonathan kind of friend. I hope you are enjoying your journey through Girls Club! Please feel free to share this book- and this blog post- with your friends on social media. I feel like this message from Sally Clarkson and her daughters is so valuable and necessary for women in our culture. I would love to hear your thoughts on Girls Club during this book club, so please feel welcomed to comment and share. Next week, we will discuss chapter two, written by Sarah Clarkson. This is one of my favorite chapters in the book and I canât wait!